Every city has its own attractions that can’t be missed by visitors. You can’t miss a walk on the ancient walls of Jerusalem while visiting Israel. When in England, you can’t miss the English pubs and its poetical mood hidden behind a pint of a delicious ale beer. When you’re in Venice, it’s impossible to miss a walk around the alleys at night. These are attractions that simply can’t be missed! 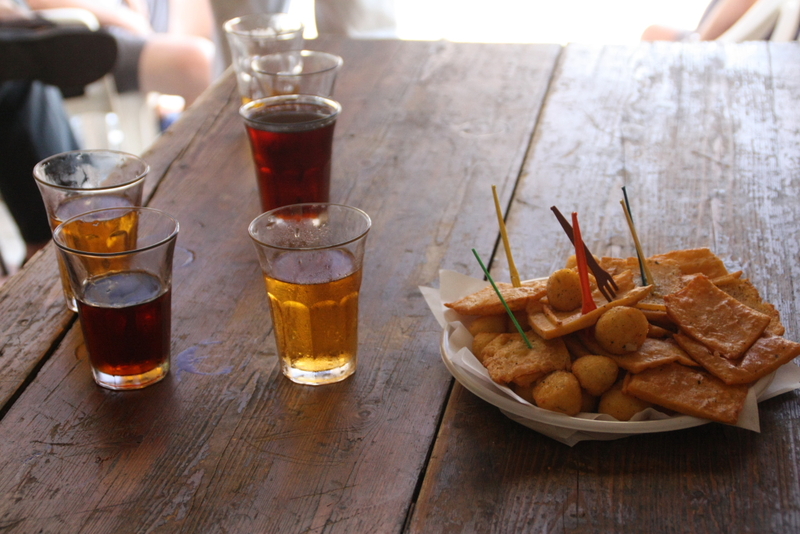 When you come to visit Palermo, you definitely can’t miss a street food experience. 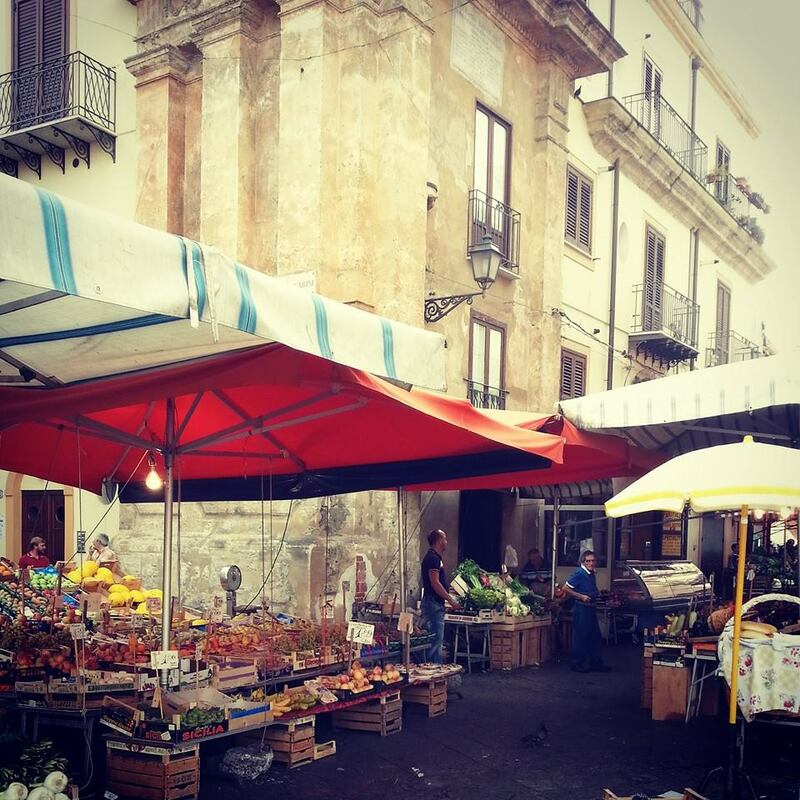 When I say “experience”, I mean because a StrEat Palermo tour is an experience! Because street food isn’t just food! 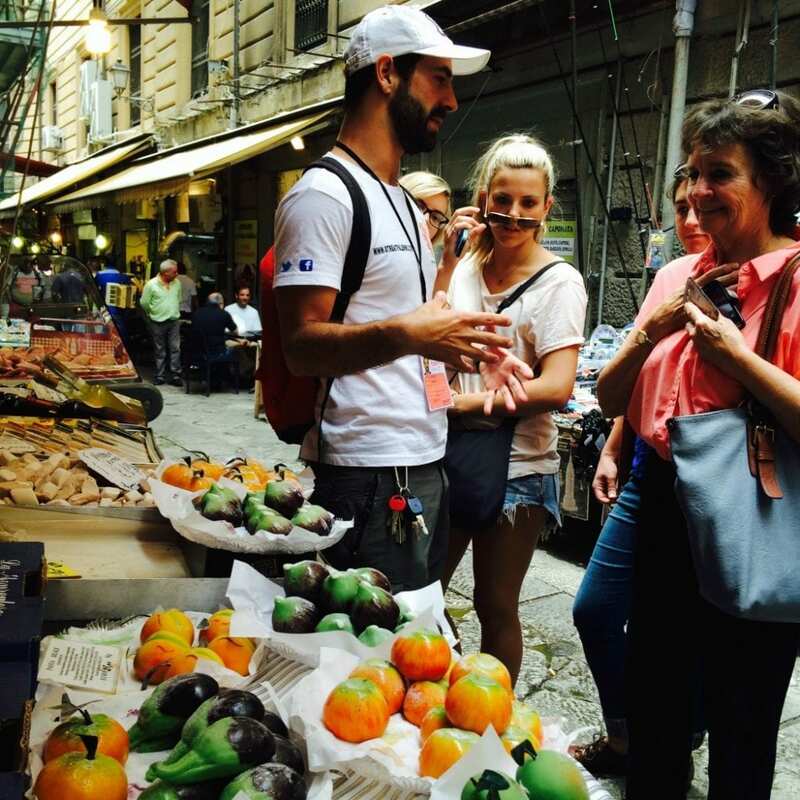 Every single street specialty of Palermo will tell you a story, a legend, or the entire history of Mediterranean civilization. Here is a list of the best 5 street food specialties you can’t miss during your stay in Palermo. Fasten your seat belt, take a bite, and get ready to travel straight to the past! You are traveling all the way back to the tenth century. Welcome to the Islamic emirate of Sicily! 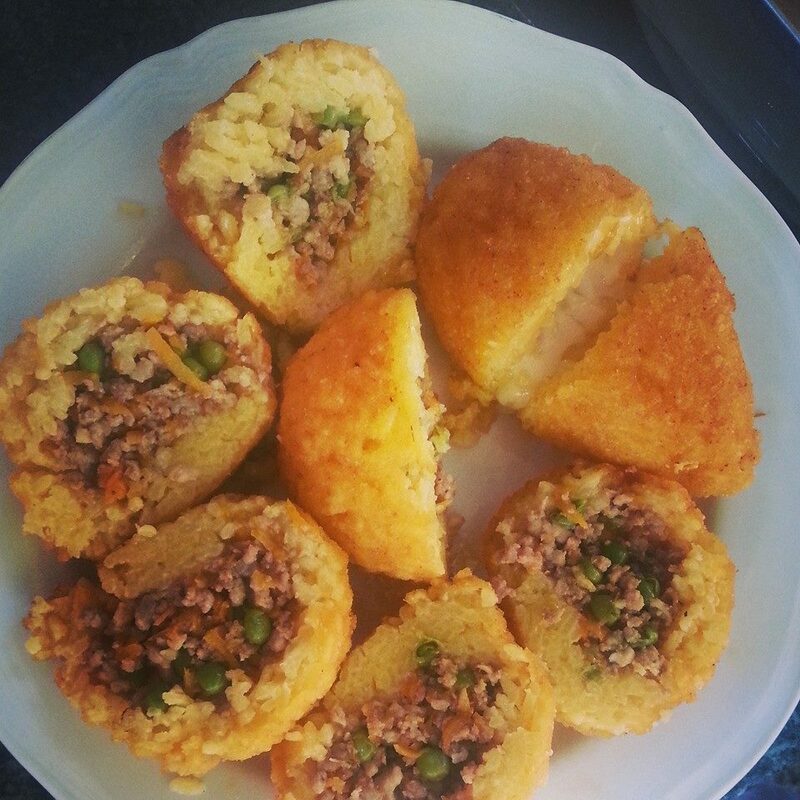 The Arancina, whose name comes from the fruit “arancia” (orange), is a crunchy golden rice ball stuffed with minced meat and peas. It was brought by the Arab colonization in the tenth century. 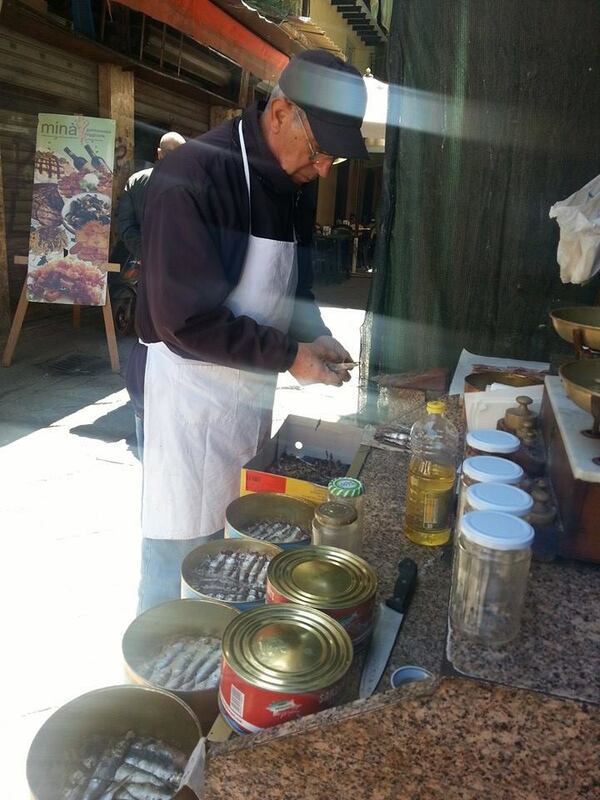 The original recipe is now cooked only in Palermo and its surroundings. You can find another variety of arancina stuffed with “ragù”, (minced meat cooked in tomato sauce) in Catania and Messina. This variety is also known as “arancinO”, male version of the original “arancinA”. Arancina must be eaten at room temperature, never hot! 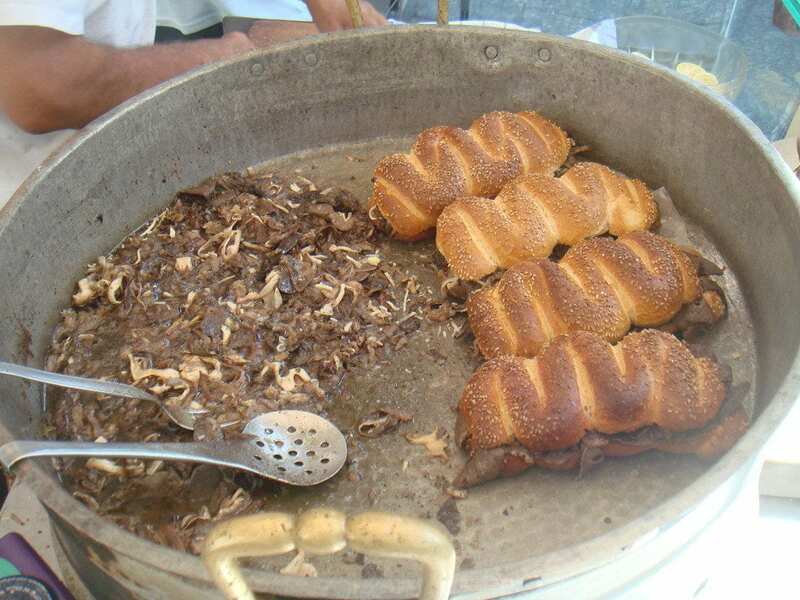 It consists of a mix of “meusa” (veal spleen), “polmone” (veal lungs) and “scannaruzzato” (veal throat gristle) boiled, slighlty fried in pork fat and finally served in a soft sandwich called “vastedda”. It’s sold by street vendors called “meusari” in the alleys of the city center. Pane ca meusa: you either love it or you hate it…nothing in between. We have two varieties: single (with lemon) and married (with ricotta cheese). It must be eaten hot. The sfincione is a very soft dough pizza sold in the streets of Palermo by the “sfincionari”. Sfincione are very thick and soft, coloured with red tomato sauce and minced onion. This is the street food specialty that tourists usually like the most, and I’ll tell you why they are so beloved. The sfincione has the ability to capture your heart before delighting your palate. The delicate taste of the sauce and the pleasant mildness of the dough are simply unique. We also have a homemade variety with an additional flavor given by anchovies and caciocavallo cheese. Sfincione are best enjoyed at room temperature. Before revealing to you what you get when you order stigghiole, I need to emphasize one important aspect of this amazing street food. I love stigghiole for one main reason: the irresistible smell of the smoky barbecue coincides exactly with the irresistible taste that you feel in your mouth when you take the first bite. Now…what’s stigghiole? Stigghiole is veal intestine wrapped around a barbecue stick. Stigghiole are grilled, salted and served in a plate with a slice of lemon. Drops of fresh lemon juice lessens the intensity of the taste of raw meat. Stigghiole must be eaten hot. Panelle are square shaped chickpea and parsley fritters, fried and served in a sandwich. Pane e Panelle (sandwich with panelle) is the main snack consumed by students during the half day break at school. Every school has its own renowned “panellaro” waiting outside and ready to fry and quickly wrap as many sandwiches as he can before the school bell rings again! Pane e panelle often has a welcome friend: cazzilli. Cazzilli are mashed potato croquettes with parsley and mint. Pane, panelle e cazzilli…what a team! I came across this photo on Marco’s Facebook page and the Sicilian story he wrote to go with it. 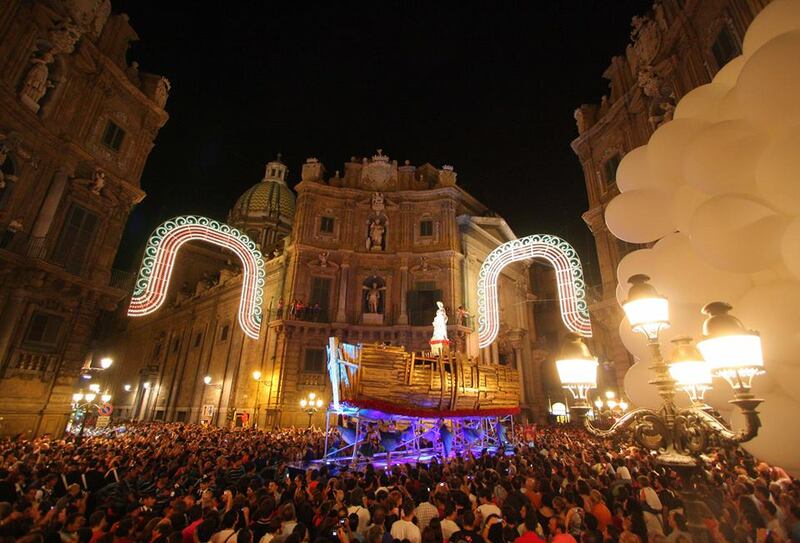 It brought me back in time to the days I spent in Sicily. It even brought me back very recently to this past summer and my zia Pina’s house. My zia Pina was ordering fish from the fish vendor that came by her street in his ape. She was bickering with him from the 3rd floor. Arguing with him about the quality of the fish and the price. I wondered how in the world could she tell how perfect or not so perfect the fish was from such a distance. But, oh…she knew. She knew! Finally the sale was complete and I listened to her and the fisherman exchange one last banter in Licatese. I watched the basked make it’s slow and sure ascent and I asked my zia if she needed me to help her pull up the basket. She looked at me as if I were joking. She assured me with a smile that she didn’t need my help. How could I doubt what she had been doing for decades. 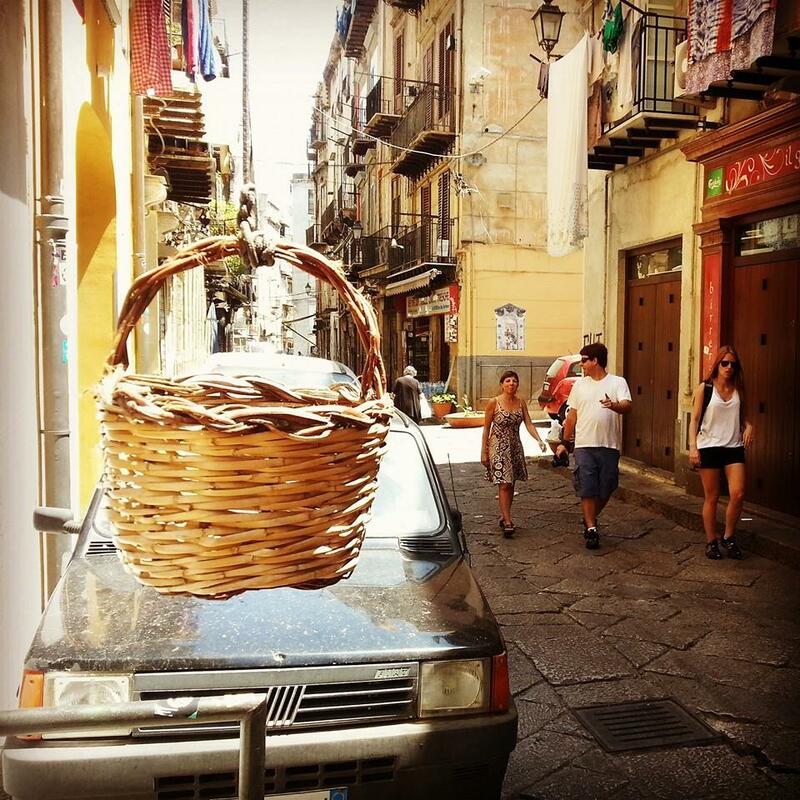 Here’s Marco’s memory about his grandmother and the bread vendor, written in Italian and in Palermitano. “MARCO! CALACI U PANARU O FURNARO!”. Passavo pomeriggi interi dalla nonna Anna in attesa che mi convocasse per la calata del panaro. Tra le losanghe in ferro battuto, dall’alto di quel terzo piano di via Marco Polo, vedevo sbracciare il sig. Furnaru, un pupazzone bianco farina che dirigeva la calata “vai vai vai vai…SSSSSSSTOP!”. Io, in puntissima di piedi, lo osservavo maneggiare il cesto con ingegnieristica cura, perché attenzione signori! Il peso andava distribuito bene! Bastava una mafaldina messa male e alla prima tirata BRUUUM! U panuzzu ntierra! E poi va siantila a me nonna! “VAAAI!” Eccolo il segnale che aspettavamo. Si, nn ero solo, per la tirata dovevo sgomitare con mia sorella. Il segreto era quello di anticiparla nella presa dello spago, ma anche quello di sopportare le sue tirate di capelli e le lancinanti gomitate sui fianchi. Parte la salita del panaro. Tricchete-tracchete-tricchete-tracchete “VAI VAI…ARACIU (“adagio”, ovvero:il panaro oscilla più del dovuto, rischia caduta pane)…VAI…APPOSTO! 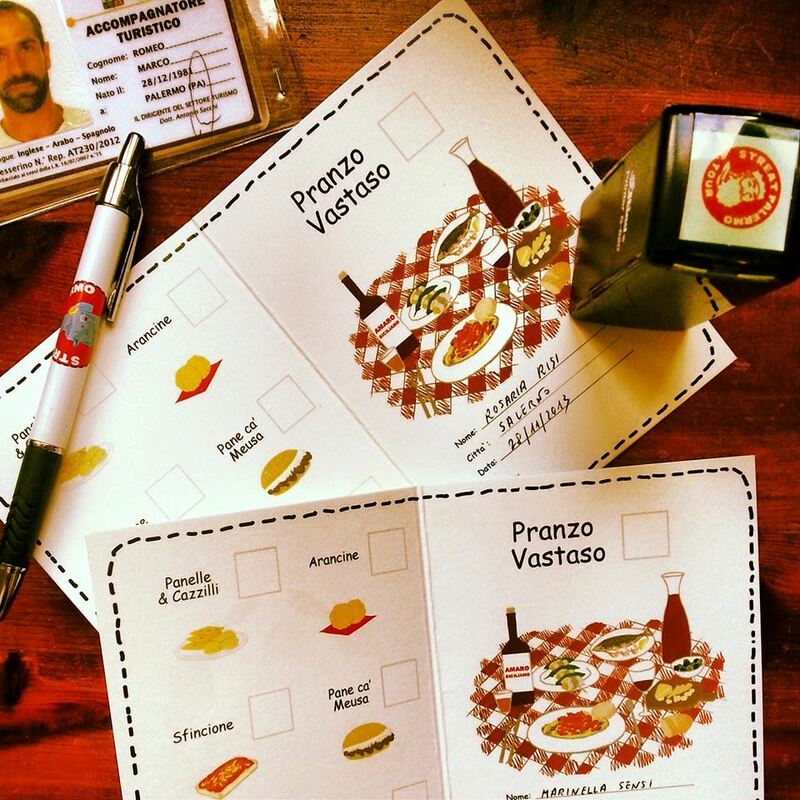 Salutami la Sig.ra Cartaino”. Io nn gliela salutavo mai la Sig.ra Cartaino, ma nn per male, ma perché non la conoscevo! Solo 20 anni dopo scoprii che la Sig.ra Cartaino era me nonna. Eravamo quasi al termine dell’operazione, mancava solo la presa del cesto. Per l’ultima tirata io e mia sorella adottavamo la stessa tecnica dei pescatori di mattanza. Io afferravo il manico del panaro, mentre lei mi arpionava ai fianchi con le sue affilatissime unghia e tirava dentro! BOOM! Le mafaldine calde calde ansimavano all’interno del cesto, mentre all’esterno io e mia sorella ce la ridevamo! Eheheh! 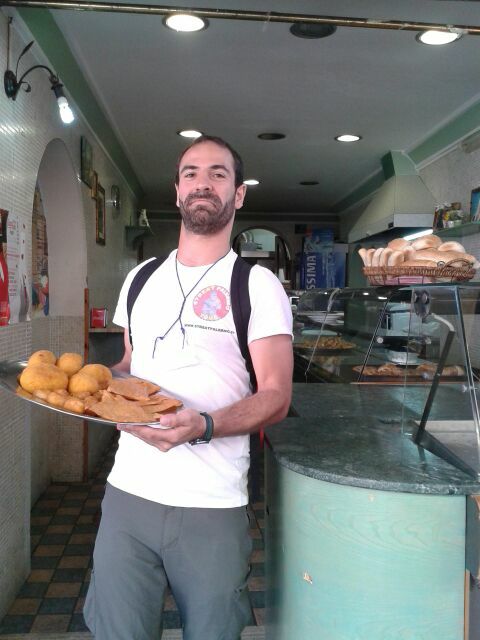 For an authentic street food experience in Palermo check out StrEat Palermo tours.